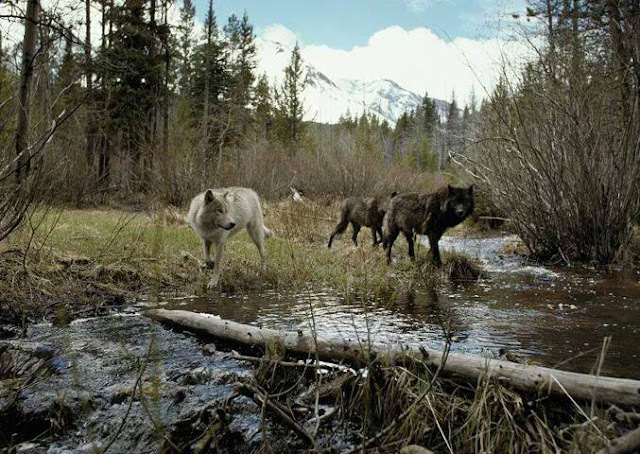 2- The Cherokee Indians did not hunt wolves because they believed a slain wolves’ brothers would exact revenge. 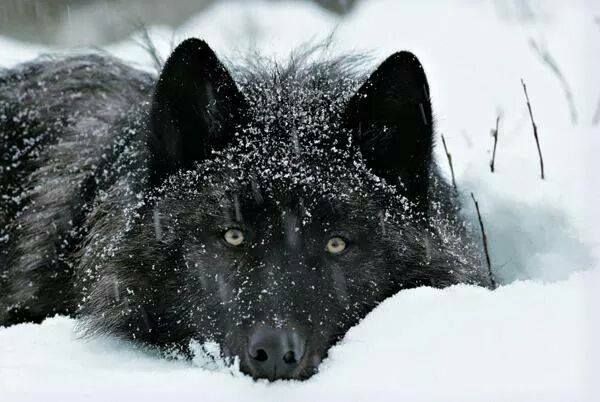 Furthermore, if a weapon were used to kill a wolf, the weapon would not work correctly again. 3- The autoimmune disease Systemic Lupus Erythmatosus (SLE), or lupus, literally means wolf redness, because in the eighteenth century, physicians believed the disease was caused by a wolf bite. 4- Wolves evolved from an ancient animal called Mesocyon, which lived approximately 35 million years ago. It was a small dog-like creature with short legs and a long body. Like the wolf, it may have lived in packs. 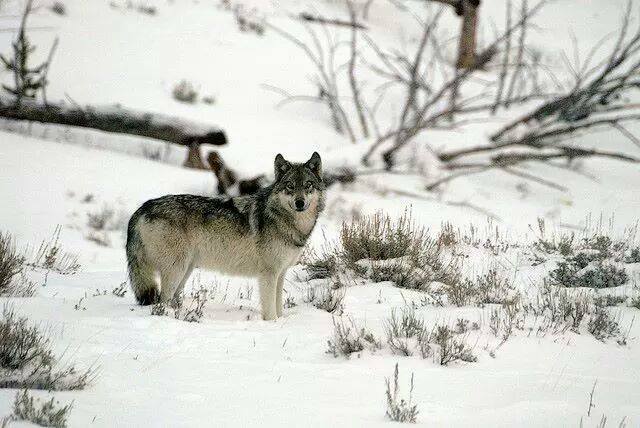 5- Between 1883 and 1918, more than 80,00 wolves were killed in Montana for bounty. 6- In the 1600s, Ireland was called “Wolf-land” because it had so many wolves. Wolf hunting was a popular sport among the nobility, who used the Irish wolfhound to outrun and kill wolves. The earliest record of an Irish wolfhound dates from Roman times in A.D. 391. 7- The Greek god Apollo is sometimes called Apollo Lykios, the wolf-Apollo, and was associated with the wind and sun. In Athens, the land surrounding the temple of Apollo became known as the Lyceum, or the “wolf skin. 8- In 1927, a French policeman was tried for the shooting of a boy he believed was a werewolf. That same year, the last wild wolves in France were killed. 9- Dire wolves (canis dirus) were prehistoric wolves that lived in North America about two million years ago. Now extinct, they hunted prey as large as woolly mammoths. 10- In ancient Rome, barren women attended the Roman festival Lupercalia (named for the legendary nursery cave of Romulus and Remus) in the hopes of becoming fertile. 11- According to Pliny the Elder, a first-century Roman scholar, wolf teeth could be rubbed on the gums of infants to ease the pain of teething. He also reported that wolf dung could be used to treat both colic and cataracts. 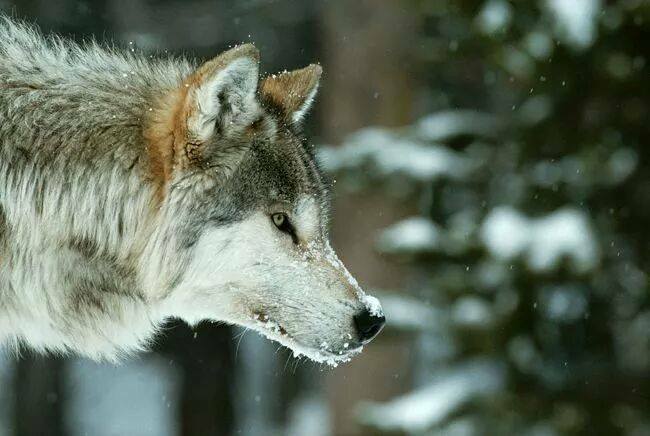 12- The Aztecs used wolf liver as an ingredient for treating melancholy. They also pricked a patient’s breast with a sharpened wolf bone in an attempt to delay death. 13- During the Middle Ages, Europeans used powdered wolf liver to ease the pain of childbirth and would tie a wolf’s right front paw around a sore throat to reduce the swelling. Dried wolf meat was also eaten as a remedy for sore shins. 14- The Greeks believed that if someone ate meat from a wolf-killed lamb, he or she ran a high risk of becoming a vampire. 15- During the reign of Edward the Confessor, which began in 1042, a condemned criminal was forced to wear a wolf-head mask and could be executed on a “wolf’s head tree” or the gallows where a wolf might be hanged next to him. 16- Werewolf (wer “man” + wulf “wolf”) trials (which can be distinguished from witchcraft trials) led to hundreds of executions during the 1600s. Men, women, and children—many of whom were physically and mentally handicapped—were put to death. 18- Sextus Placitus, in his fifth-century B.C. Medicina de quadrupedibus (Medicinals from Animals), claims that sleeping with a wolf’s head under one’s pillow would cure insomnia. 20- The Japanese word for wolf means “great god. 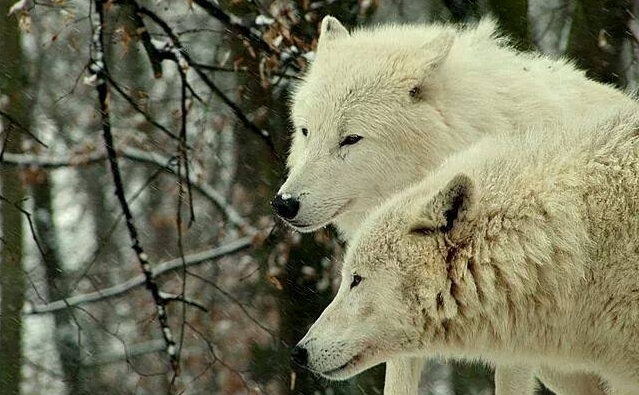 Responses to "20 Beliefs, Myths and Facts About Wolves You May Never Have Heard About"
Are there any legends about the Albino White Wolf? ?